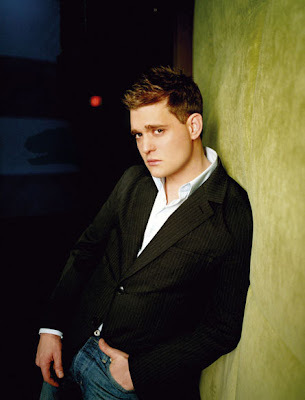 Dreth's Blog: Michael Bublé being stalked by a Velociraptor? Welcome to my Blog. I'm from Puerto Rico, and for lack of a better description, let's just say you'll find Phothoshop stuff, Photography stuff, MS-Paint stuff and Unwarranted Self-Importance. And stuff. Michael Bublé being stalked by a Velociraptor? Indeed. Reports of this -googles his name- apparently popular singer (outside the US, anyway) of being stalked by one the prehistoric era's most skilled hunters are making the rounds on the Internet. I've submitted three sightings so far, the first one is on the site, but not sure if the other two will get published.